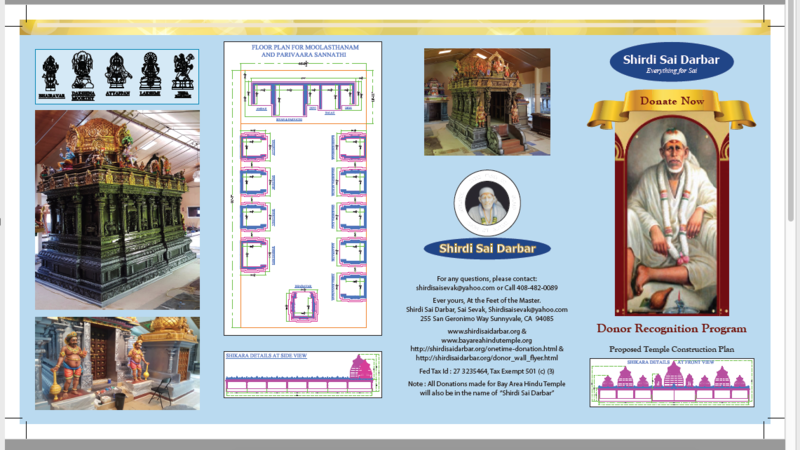 “Bay Area Hindu temple” part of " Shirdi Sai Darbar " is a non-profit organization (Tax ID: 27 3235464) and all donations are tax deductible. We have about 8,000-10,000 devotees come to the temple every month. We have found this new place with Baba’s blessings.Goal is to spread the teachings of Shirdi Sai Baba and Hindu Culture , make this a beautiful permanent place , in the heart of Silicon Valley, where everyone can come and pray . This location is located at the intersection of Wolfe and Arques Ave .The landlord has given us a limited time buying option with lease.The total area is 20,000 sq. ft. We will be allocating 10,000 sq ft for the main prayer hall and the rest for meditation and dining facilities. The facility has about 200 parking spaces. 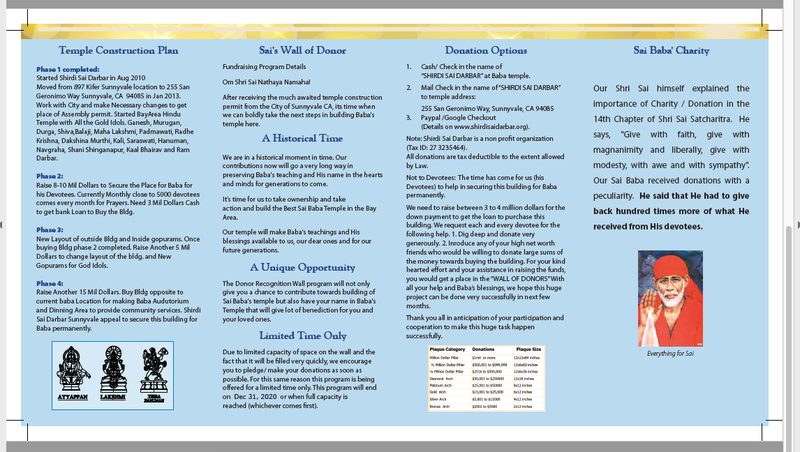 The space is already pre-approved for religious activities by the City of Sunnyvale. The estimated total cost for this project is 6 million . The immediate requirement is 3 million so that we get the balance approved through a lending institution. Cash donations at current temple Hundi. Stock transfer to non profit "Shirdi Sai Darbar Trading Account : 863062311" , "DTC : 0188"
How we can meet our target?